Tokyo, January 29, 2019 - Alibaba Cloud, the cloud computing arm of Alibaba Group, today launched its second data center in Japan, catering for the rising demand from customers who are required to process and analyze a large volume of data using machine-learning technologies. The launch comes with the latest advanced cloud offerings, with more than double capacity within the country. The second data center features key products such as 25G network infrastructure (from the original 10G), and the 8 x P100 card GPU-based GN5 Instance to support deep-learning while balancing optimal performance with cost efficiency. The GN5 Instance is designed specifically to increase the competitive advantages for enterprises of all scale. Other offerings include elastic computing, databases, networking and storage. Customers in e-commerce, gaming, media, manufacturing and the Internet of Things (IoT) sectors can benefit from the comprehensive suite of products and services, scalable availability and strengthened local disaster-recovery capabilities. With 56 availability zones now running across 19 regions worldwide, the launch underscores Alibaba Cloud’s continuous support for customers with its global network, comprehensive ecosystem and vertical specific solutions. Today Alibaba Cloud is China’s largest provider of public cloud services and it is among the world’s top three IaaS providers, according to Gartner. The expansion also comes with the global cloud leader’s reinforced commitment to empower local enterprises; for their continuous growth and skill development in the rapidly changing digital era. As part of the initial rollout of the Alibaba Cloud Internet Champion Global Accelerator Program, the company will provide training, mentorship and networking opportunities with venture capitalists. Success stories from Alibaba Group’s Double 11 Global Shopping Festival will be shared for local business to explore how technologies can be best leveraged to support business growth. In addition, a developer-driven community called AliEaters offers complementary training, hands-on workshops, technical seminars and start-up competitions to help small and medium-sized enterprises as well as young entrepreneurs to thrive in the digital era. 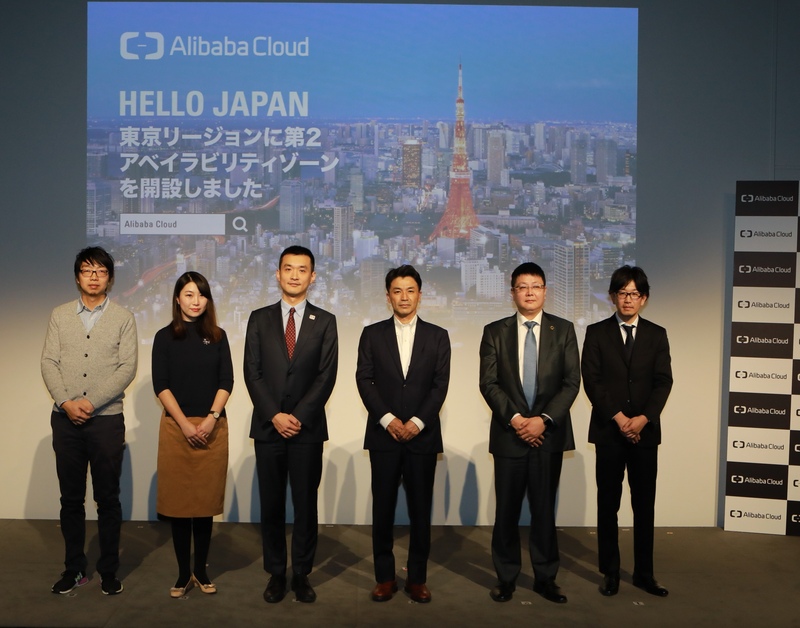 Alibaba Cloud has partnered with Softbank since 2016 to offer packaged cloud services through joint venture SB Cloud. Alibaba Cloud also partners with MITSUI & Co., NEC, ITOCHU Techno-Solutions Corporation (CTC), Bit Media, Pixel, etc. to serve customers in the Japanese market. With the dual data centers, Alibaba Cloud’s local offerings expand to over 50 products including elastic computing, image search, data storage, server load balancers, relational databases, security and disaster recovery services.